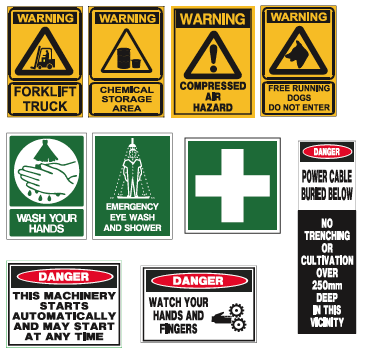 We manufacture, in-house, safety signs to suit your particular requirements. Printed in colour on vinyl, they may be laminated for durability and can be mounted on steel backing or supplied as stickers where flexibility is necessary. 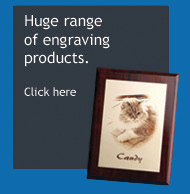 We also make engraved signs using UV stable plastics suitable for outdoor use, in a wide range of colours. All images to Australian standard designs. Our vinyl stickers (printed in-house) can be used as signs or as branding labels for your own products or even as fun items for the caravan, boat or motorhome etc. 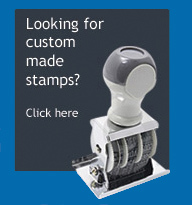 We can make short runs in any size from large posters down to small labels for handcrafted articles.